Acupuncture treatments work very well to increase the healthy flow of oxygenated blood through your body, which boosts energy levels. There are zones on the body that neurologically connect with the adrenal and thyroid glands, and when stimulated through acupuncture, can improve functioning of these glands to reduce fatigue. A common effect of acupuncture that patients report is more energy and stamina throughout the day. If you feel sluggish and tired, take advantage of this exceptional therapy! Many people are interested in trying acupuncture as a therapy to resolve pain, reduce stress and anxiety, and improve their overall health, but don’t ever take that step forward to start acupuncture treatments because of their fear of needles. The truth is that acupuncture needles are not even close to the thickness of needles most people are used to, such as hypodermic syringes. When you place an acupuncture needle next to a strand of human hair, you will see that the two are very comparable in width. The majority of acupuncture patients say they feel a very mild sensation as the needle is inserted and sometimes say they don’t even feel the needle at all. Don’t let fear of needles hold you back from trying acupuncture because you will be missing out on an amazing therapy that could greatly improve your health! Infertility is becoming a more common problem for women during recent years. A combination of waiting to have children until later in child-bearing years, more stressful lifestyles, and an increase of toxins in our environment have contributed to this problem. Many women are realizing the great benefits of acupuncture treatments to improve their chances of conceiving and giving birth to healthy babies. Acupuncture can reduce fertility by reducing stress, increasing blood flow to reproductive organs, and balancing the endocrine system. Consider this safe and effective treatment for you or someone you know with fertility challenges. In our modern world, more and more people are struggling with digestive disorders. These issues include GERD/heartburn, irritable bowel syndrome, Crohn’s disease, ulcerative colitis, and gallstones. Common symptoms of these disorders are constipation, diarrhea, bloating, gas, stomach pain, and poor appetite. Our fast-paced, stressful lifestyles, combined with unhealthy, highly processed foods and beverages are major contributing factors to these problems. Digestive disorders can be very detrimental to our health because the rest of our bodies depend on the digestive system’s ability to break down food and distribute nutrients. Acupuncture, in addition to eating healthier and making an effort to reduce stress in our lives, effectively treats many digestive problems. It works very well to normalize peristalsis (the movement of food through the digestive tract) and keep the digestive organs functioning properly. It also helps to decrease inflammation, which is present in almost every digestive issue. So consider trying this time-tested, safe therapy if you or someone you know struggles with digestive challenges. Have you or someone you know ever experienced episodes of depression or overwhelming feelings of stress and anxiety? These emotions can be normal for a short period of time when you are dealing with difficult challenges, but they become debilitating when they prevent you from performing everyday activities. Acupuncture can be very effective in treating these emotional problems. Acupuncture treatments cause the body to release those “feel good chemicals” that are naturally produced, such as serotonin and dopamine. These are the same chemicals that are released when a person takes anti-depressant drugs. Acupuncture also helps to relax the body’s nervous system and get it out of the “fight or flight” pattern. When our nervous systems are relaxed, the rest of our body and our minds relax too. If you or someone you know is suffering from a mood disorder, consider trying acupuncture and Traditional Chinese Medicine. It may just be the answer you have been looking for. New Years limit-timed special. $79 acupuncture treatments, from January 1st to January 31st. Millions of adults start the New Year with resolutions, and a healthier lifestyle is usually the number one goal people set for themselves. Many of us start the year with good intentions, whether it be quitting smoking, exercising more, stress management, weight management, eating healthy or improving overall health. In spite of good intentions, many give up by the end of January. The media glamorizing healthy lifestyle makes it appear so easy to achieve. In reality, we all know and understand that making major lifestyle changes can be challenging and difficult, but don’t give up. If you are committed to a healthier lifestyle for 2017, you don’t have to do it alone. Acupuncture can help you reach and maintain your goals. From today through January 31st 2017, Acupuncture treatments are only $79 per treatment for new or existing patients. If you are ready to commit to improving your health and to reach your New Years goals, call today (253) 661-8685 or send us email to schedule your appointments for January. Leo came to me for acupuncture after falling off a ladder onto his back. He was in pretty bad shape. Acupuncture helped but he had sustained quite an injury, and he was on medications which did not support the healing of musculoskeletal injuries. Long term arthritis would be in his future. With drug advertising, doctors may prescribe more drugs than necessary, assuming patients will make no adjustments to their diets, no matter how high their blood pressure or how unstable their blood sugar levels. Pain, blood pressure and blood sugar medications don’t always help. Drugs very often override the nervous system’s own ability to heal the body the system is meant to control. Drugs’ ill effects (aka side effects) rarely enable the body to heal itself as it would naturally do on its own with – genuine replacement parts – food. 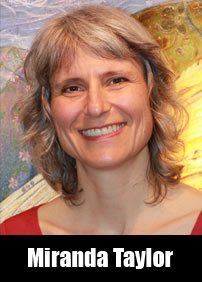 Acupuncture streamlines a confused nervous system. It works similarly to replacing/fixing circuit breakers, instantly handling pain and other issues. What nutrition can accomplish is similar to acupuncture in reducing pain via encouraging better food choices and choosing more effective supplements/whole food nutrition therapy. View Nutrition Response Testing video now. Patients can reduce their dependence on medications controlling blood sugar levels, high blood pressure, and pain. They eliminate dependence on pain medications, because pain is a cry by the body for something that it needs. We just don’t have a pain medication deficiency. We do often have a deficiency in certain vitamins, minerals, etc, fibre and water. In this video we show how I use Nutrition Response Testing (palpation of acupuncture points with nutrition). I help Leo identify which whole food supplements – and food – are helpful and which ones are harmful in his trauma repair, arthritis prevention and quest for better health. Arthritis is a disease that causes pain and inflammation in joints and can be widely spread throughout the body. 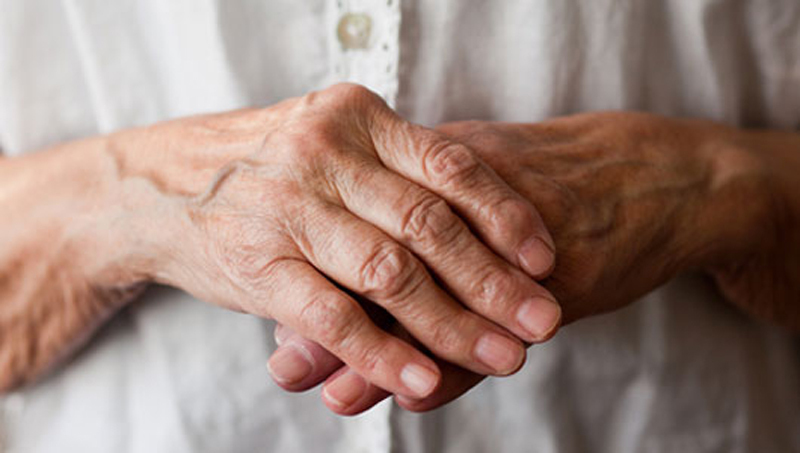 Arthritis isn’t just one disease, it is a complex disorder that comprises more than 100 distinct conditions and can affect people at any stage of life. The common thread among arthritis symptom is persistent joint pain and inflammation. While arthritis pain and inflammation cannot be avoided as the body ages, with Acupuncture the pain can be manageable. Two of the most common forms are osteoarthritis and rheumatoid arthritis. While these two forms of arthritis have very different causes, risk factors, and effects on the body, they often share a common symptom—persistent joint pain. Osteoarthritis (OA) is the most common form of arthritis in the United States, affecting an estimated 21 million adults. OA begins with the breakdown of cartilage in joints along with the deposition of calcium, which limits mobility of the joint and causes pain and stiffness. OA commonly affects the joints of the fingers, knees, hips, and spine. Other joints affected less frequently include the wrists, elbows, shoulders, and ankles. Rheumatoid arthritis (RA) can affect many different joints. Inflammation of the joint lining, the synovium, can cause pain, stiffness, swelling, warmth, and redness. The degree of inflammation fluctuates, possibly following changes in the stress levels of the body. The affected joint may also lose normal movement. RA can have periods of exacerbation and remission, but pain often persists once the inflammation has subsided. In a Scandinavian study, researchers compared acupuncture and exercise for the treatment of osteoarthritis of the hip. Thirty-two patients awaiting a total hip replacement were separated into two groups. One group received acupuncture treatments and the other group received hip exercises over a 6-week period. Patients in the acupuncture group showed significant improvements, while no significant changes were reported in the group that received hip exercises. Another study at the University of Maryland showed that elderly arthritis patients with osteoarthritis of the knee improved significantly when acupuncture was added to their treatment. Seventy-three patients were randomly divided into two groups. One group received acupuncture treatments and conventional therapy for 8 weeks. The other group received conventional therapy only. Patients who received acupuncture had significant pain relief and showed improvement in function. Those who did not receive acupuncture showed no significant change. Acupuncture is a safe and effective tool to fight Arthritis pain with minimal side effects. Are you ready for pain relief? Call today (253-252-7195) to schedule your appointment or send us email and start living a pain free life. According to the U.S. Department of Health and Human Services, approximately 40 percent of U.S. women and 30 percent of U.S. men suffer from insomnia, a condition characterized by difficulty falling or staying asleep. Lack of sleep can have a wide variety of negative consequences – daytime drowsiness, irritability, depression and an increased risk of various health problems. The most common treatment for insomnia in the United States consists of prescription sleep aids such as sedatives, hypnotics and antidepressants. Prescription sleeping aids are one of the most highly overused medications and can lead to side effects and addiction. Another study has shown that acupuncture works for people without health problems, too. A study in 1999 found that acupuncture improved sleep quality in normal people with insomnia. “Although insomnia is the most common sleep complaint, it is not a single sleep disorder. It’s more accurate to think of insomnia as a symptom of another problem. The problem causing the insomnia differs from person to person,” says HelpGuide.org. Acupuncture may not be your first thought on the best method to improve your sleep, but research have shown that Acupuncture can help with sleeping disorders without the risk of addiction or putting chemicals your body. Acupuncture can actually be an effective way to improve your sleep quality and leaves out the dependency of sleep-aid medications. Are you tired of being tired? 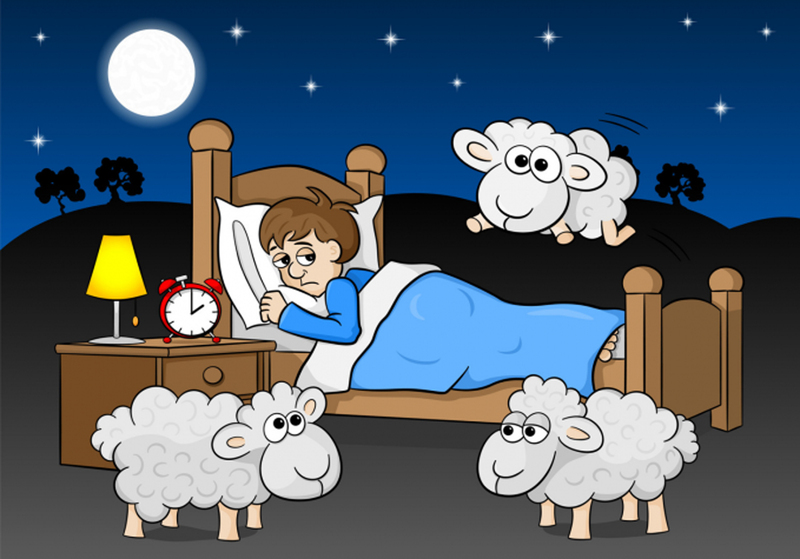 Call today 253-252-7195 or send us email to get a good night sleep and to stop counting sheep. The Sun is out and weather is getting is warmer. Folks are getting excited about camping and RVing. Concerned about Ziki virus carried by mosquitoes, several of my patient asked what natural bug spray they can use. In addition not to camping near standing water where mosquitoes breed, you can use this homemade mosquito repellent that is very effective. 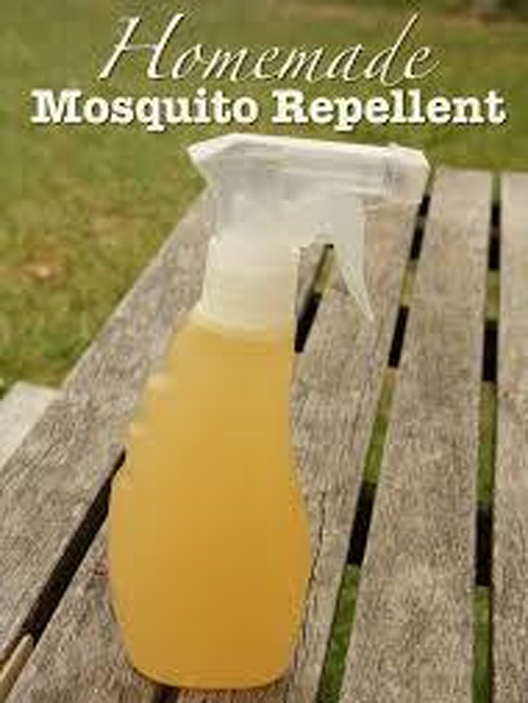 It’s also less toxic and more economical then the store bought mosquito repellent. Then fill the bottle with water, shake & you’re ready to use.